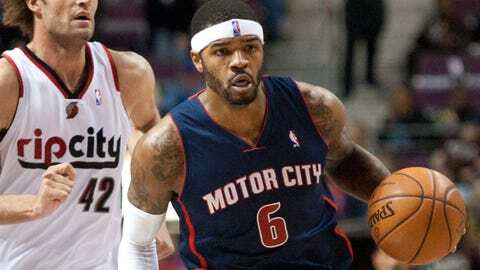 Josh Smith led Detroit with 31 points. After struggling to hold late leads all seasons, Detroit did it again Sunday night, blowing a 13-point fourth quarter lead in a 111-109 overtime loss to the Portland Trail Blazers. "If this doesn’t sting, I don’t know what does," said Josh Smith, who led Detroit with 31 points. "When I was with the Hawks and we were young, we were in a lot of games where we couldn’t figure out how to close it out down the stretch," he said. "Those games stung a bit, and we didn’t want to watch them again, but when we sat down and watched film, we saw the reasons we were losing those games. "We need to do that here, and see what we are doing wrong late in games, because this was definitely a winnable game." "We called the same play a bunch of times down the stretch," said Trail Blazers coach Terry Stotts. "We spread the floor with shooters, gave Dame a ball screen and let him make a play. He got the rim a few times and he got himself open for jumpers a couple other times. That’s his call — you want the ball in the hands of your best players in that situation." "That was really good defense," Lillard acknowledged after the game. "The coaches told me that he was going to force me to make at least a double move, so when he blocked my first step, I spun back off my other shoulder. "I still couldn’t get to the rim, so I just faded away from him to try to get something off. He contested it, but it felt good coming out of my hand." "It’s concerning that we didn’t finish the game when we had points in the paint that we missed," Pistons coach Maurice Cheeks said. "I think Brandon had two lay-ups and Andre had one. Those shots probably would have for the most part closed out the game, but we didn’t finish those shots and that is disappointing. "We had shots at the rim that we probably would have made and that we had made throughout the game until that point." 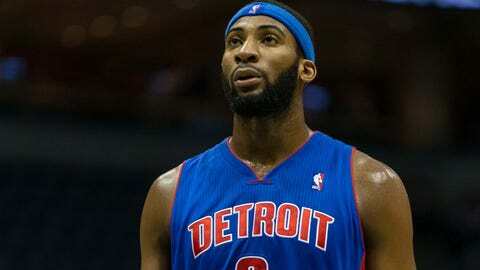 "It’s very frustrating," he said at the end of his biggest scoring night as a Piston. "This game was pretty much won, but we found a way not to win."